Milana Elise Reiche, violin, holds a first violin position with the Minnesota Orchestra. She has served as concertmaster of the Bloomington Symphony Orchestra and New World Symphony under the direction of Michael Tilson Thomas. In addition to her work as an orchestral musician, she has given numerous solo recitals and chamber music performances reaching audiences throughout the United States and Europe. 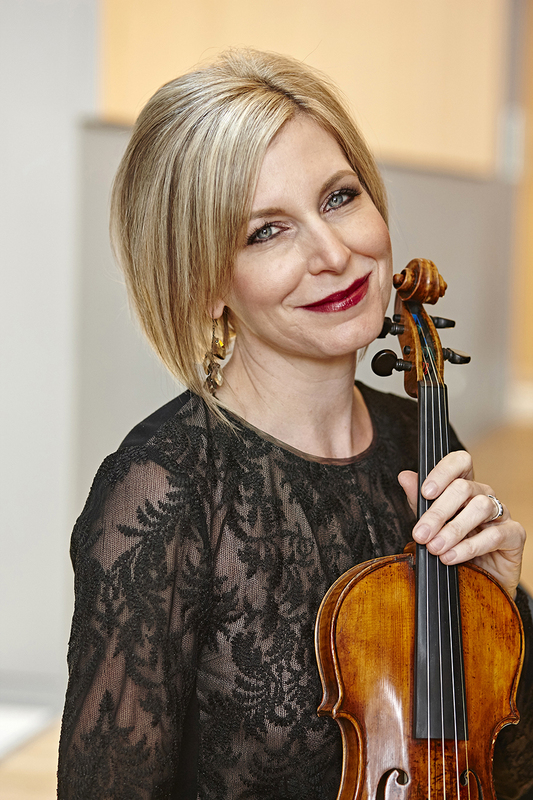 Originally from Louisville, Kentucky, Reiche holds a bachelor of music degree from the University of Minnesota, where her principal teachers were Roland and Almita Vamos. She studied with Sidney Harth at Yale University where she received her master of music degree. Reiche has given solo performances with the Minnesota Orchestra, Louisville Orchestra, Bloomington Symphony, Cheyenne Symphony, Spokane Symphony and New World Symphony. She has recorded two promotional CD’s for Baker Associates in Minneapolis. Reiche performs annually in the Sun Valley Summer Symphony festival in Idaho. She also participates in the Colonial Chamber Series of Edina; the Minnesota Orchestra McPhail Chamber Series; the Hill House Series in St. Paul; and the Minnesota Orchestra Sommerfest Chamber Series. She has performed in the Mainly Mozart festival in San Diego, CA and the Tanglewood festival in Massachusetts. Milana teaches private lessons in her home in Minneapolis, where she resides with her brilliant designer husband and three adorable children.